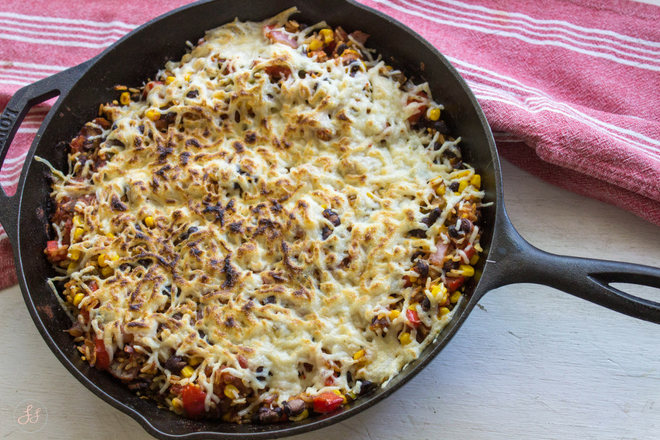 I was editing the photos of this recipe and I realized it looks a lot like a past Mexican Skillet meal I've made. But trust me, they make look the same but they taste extremely different. I love a good rice casserole! Especially one that can be made right on the stovetop! Beat the heat and make you rice casserole on the stovetop! 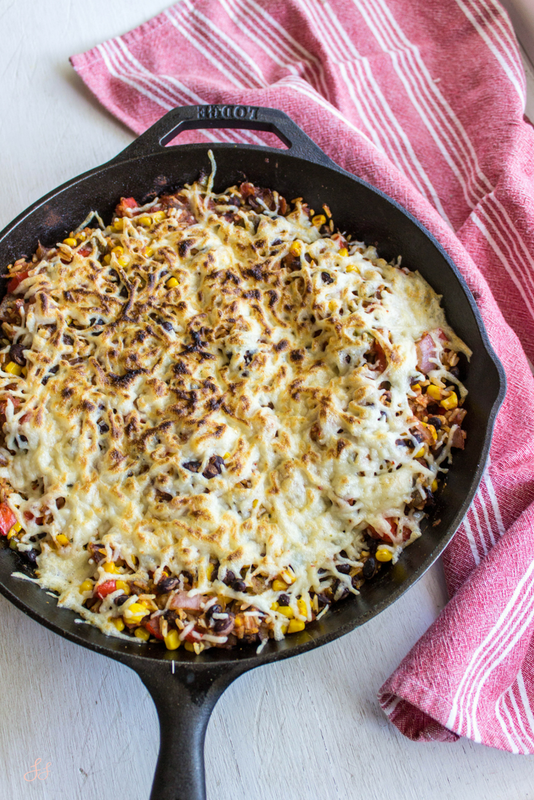 This Skillet Mexican Rice Casserole is perfect for a quick and filling weeknight meal! In a large skillet, heat oil. Add in onion and cook for til onion is fragrant (about 2-3 minutes). Then add in your spices (from cumin to oregano) and cook for another 2-3 minutes. Next you want to add in your red pepper, green chilis, and still together. Cook for a few minute more then add in the beans, corn, salsa and rice. Still until well combined. After a everything is mixed together, add in your cheese, as much or as little as you'd like. This next part is optional - turn the broiler on low, top the casserole with cheese, and place in broiler till cheese is melted.Once done, pull out and serve! Top with some lovely dairy free sour cream or guac if you so choose! I love this dish because it is so hearty that you don't really need anything to go with it. And yes, corn is not the most nutritionally based veggie but its a perfect addition to this dish.